As novelist Haruki Murakami says in What I Talk About When I Talk About Running “If you’re going to while away the years, it’s far better to live them with clear goals and fully alive then in a fog.” For me, running has always been about a state of continual awakening. This blog therefore is intended as a modest repository for some of my musings from/about my peripatetic peregrinations. 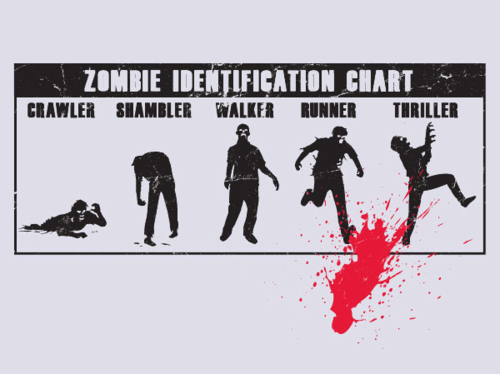 I hope to be able to keep one step ahead of the zombies. This means that I don’t have to run faster than the psychotic-maniac-vampire-cannibal, I just have to run faster than whoever is with me when the psychotic-maniac-vampire-cannibal starts chasing us. So today, 2.5 years after I joined a local running club, with a very heavy heart, I sent my courtesy letter to the Chairman announcing I had forthwith left the club. When I stood down from the committee [Race Secretary] 2 months ago in complete frustration at the lack of work ethic from the majority of my fellow members it was with the hoped belief that I would be able to re-engage again in the Autumn if/when they had started to sort themselves out. However in the last 8 weeks other events have overtaken me and my hand has been forced. Firstly my coaching and leaders’ administration duties at the club were slowly but surely being taken over [without any notice] and undermined by these same parties. Secondly I reluctantly had to accept that the behind the scenes agendas and manipulations from certain persons were never going to go away. Very hard to leave behind something that has become a major part of your life, particularly when you are passionate about bringing running to all and love most of the runners that you work with. Harder still when you have almost single handedly through sheer hard work turned around a failing club into a going concern. And the hardest of all is having to leave those that have become good friends. I hope in this instance that is the case.